Genuine Miller® Quick Select™ drive roll for feeding .024-.035 solid MIG wire and .030/.035 flux-cored wire. Manufactured specifically for your small Millermatic® or Multimatic™ welder. 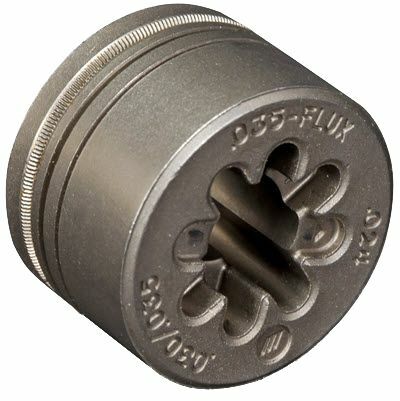 Three feed grooves allow you to quickly and easily switch from different welding wire diameters and from solid wire to flux-cored wire with a single drive roll. Which groove do you use with flux cored wire? 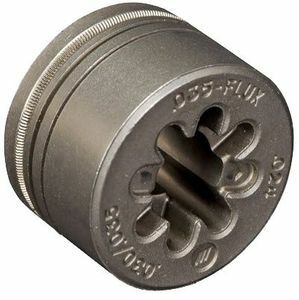 Miller Quick Select Drive Rolls 261157 would use the "v groove" to run flix cored wire. Will this work with the older transformer style Miller 211? Miller advises that this is compatible with the older style Millermatic 211. Miller advises that this Drive Roll is made mostly out of steel. They did not have any further specifications. Is this the correct drive roll wheel for the Miller Multimatic 200 if I want to run flux cored wire for mig gun? Hobart's 'weld shop' website lists this part as compatible with the Handler 140 and 190 series. Can we confirm this will fit a HH 190? Part works exactly as described. Placed immediately into service in Hobart Handler 190. I bought this part to utilize .023 wire. No feed problems whatsoever.